These classes will be taught as monthly four-session units, with one of our instructors teaching what they regard as a specialty. 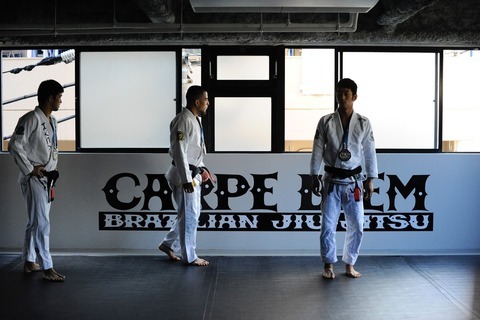 Tomoyuki Hashimoto will teach the first unit in January, which will focus on the spider guard. The classes will be held on 8, 15, 22, and 29 January and designed such that all classes must be attended to get the full effect. The first class will be an introduction, the second and third will cover core applications, and the final class will detail high-level techniques. Later units will follow a similar pattern. These classes will cover techniques only, with no sparring, and the idea is to treat them like a seminar. The content of each unit and its instruction will be designed to span four classes. This class is mainly intended for members willing to set aside time on every Friday night in January. For example, attending only the third class would be possible, but the instructors will focus their attention on making sure members that attended the first two classes get the maximum benefit. We will of course do our best to keep things interesting and retain as high a level of participation in all four classes as possible.